Joiners might not be the first trade you think of when it comes to bathroom renovations, but we play a key role when it comes to delivering those essential details and utility. At Quality Joiners we have a diverse and adaptable range of services and can provide a solution regardless of your budget. 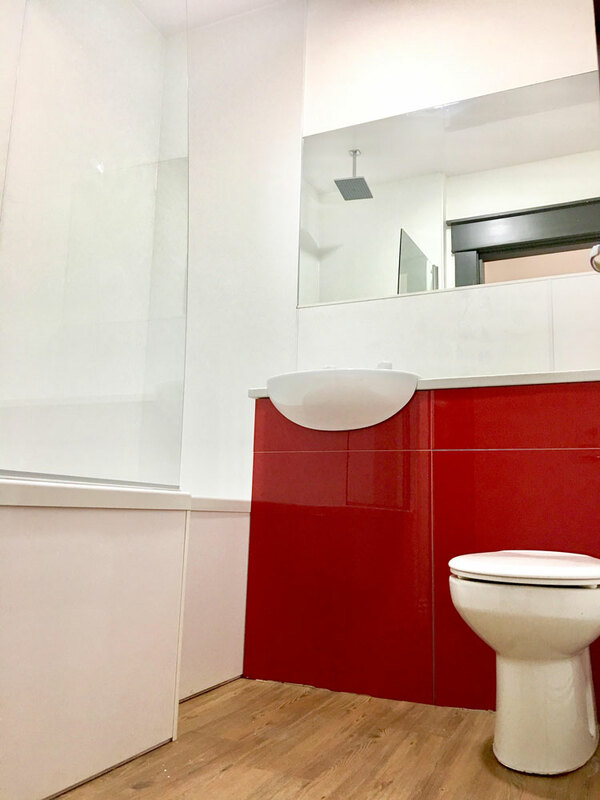 To discuss what bathroom services we provide, or to arrange for a visit to your property for free advice and a structured quote, give us a call now on 0141 639 0089. 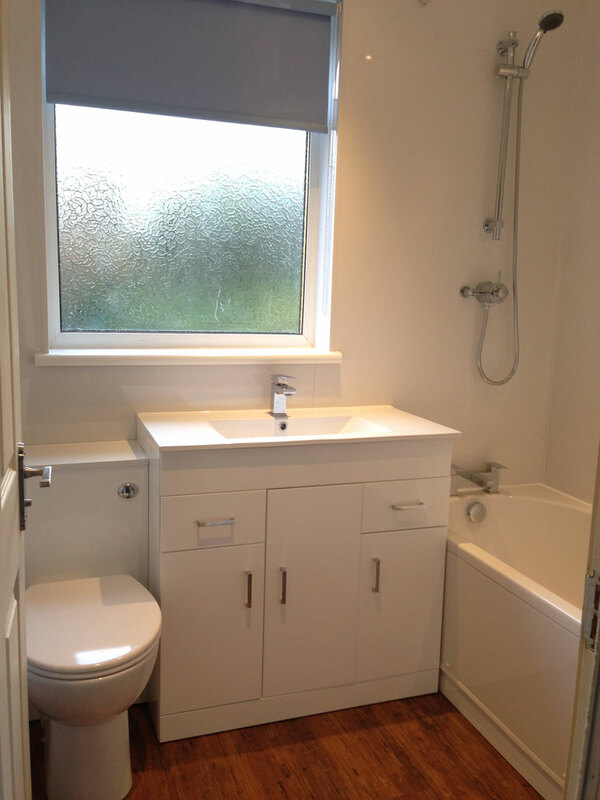 We understand that not everyone has the same amount of money to spend on bathroom renovations which is why we offer a range of services in order to accommodate any budget. Regardless of what you choose, you can expect the same flawless finish. When it comes to full bathroom renovations, they can be as minimalist or elaborate as you see fit which makes them suitable for a wide range of budgets. Additionally, we are also happy to provide specific services or some finishing touches, again significantly reducing costs. 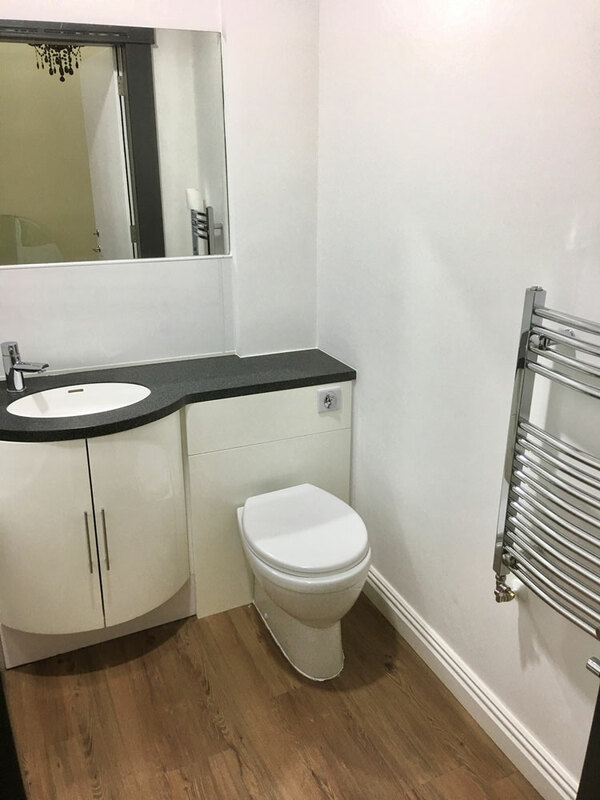 Doing without a bathroom often just isn’t an option, which is why at the end of the working day we will leave you with a bathroom ready for all vital basic functions in order to minimise disruption, ready for us to begin work again the next day. For many people, bathrooms serve a purpose over and above their traditional use. They are a place of tranquillity, a refuge to relax in and destress after a hard day of work. Good and personalised bathroom design can help with this and with Quality Joiners we will deliver a space that is truly your own. 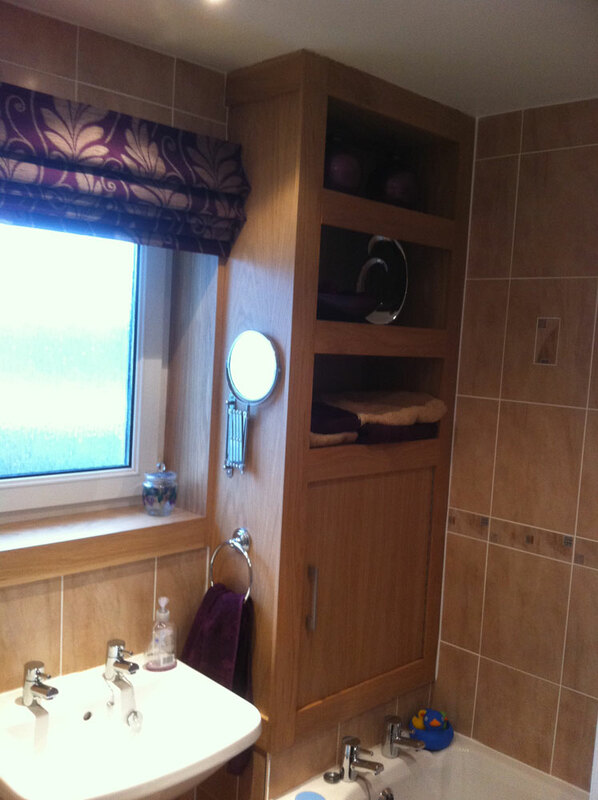 Storage is important when it comes to maintaining a neat and tidy bathroom. With standardised units, it is difficult to make use of all the potential space, and there will often be exposed piping. 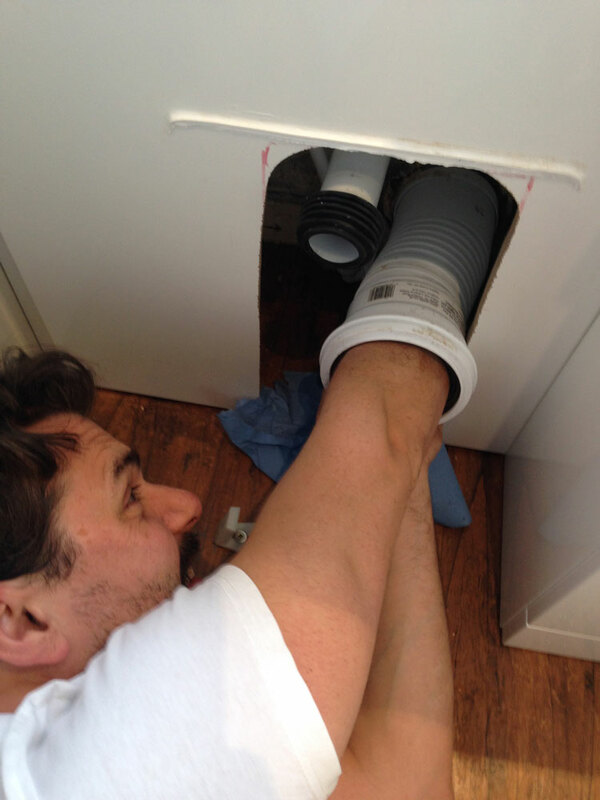 Because we will build everything from scratch, we will make the most of every spare inch of space and can easily work it around any exposed pipework, providing a faultless and tidy finish. Wet walls are a fantastic and modern alternative to tiles which can not only provide a sleek finish but also provide a number of other benefits in terms of maintenance. Tile grout will eventually gather mould which will require intense cleaning and may cause stains. Wet panels will not, and never require anything more than a quick wipe clean. In addition, wet panels are incredibly durable and when installed professionally will stand the test of time. With over ten varieties to choose from, we will supply a product which suits any tastes. Similar to wet walls, ceiling panels offer a maintenance-free alternative to a regular ceiling. They do not require any plastering or even paint, and similarly will not gather any mould or mildew. With some tasteful fitted LED lights, these panels can really set your bathroom apart. 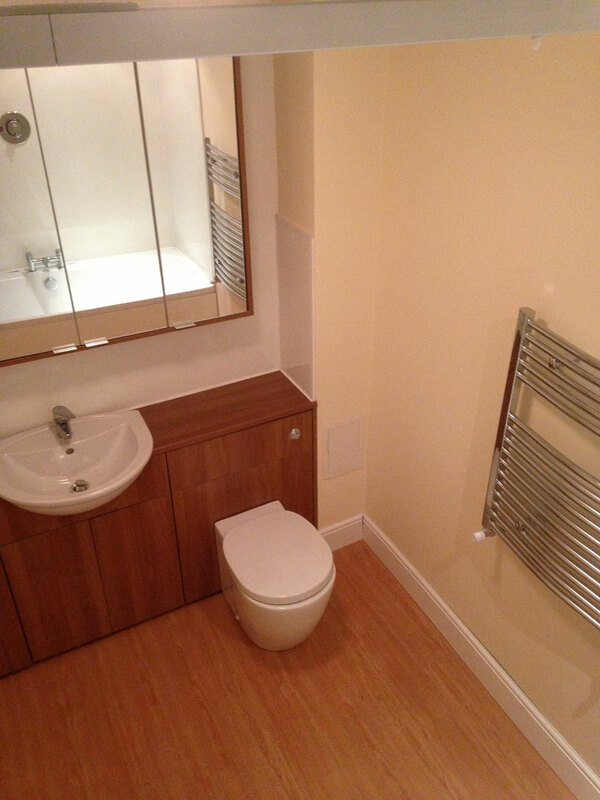 A fitted bathroom will look fantastic because it is designed and constructed according to your precise tastes. However, this is only one of the benefits it brings. A Quality Joiners will also allow you to maximise storage space and utility while minimising upkeep by reducing the need for maintenance and cleaning. With a service that can accommodate any budget as well as free advice and quotations, there is no reason not to make an inquiry! Give us a call now on 0141 639 0089.